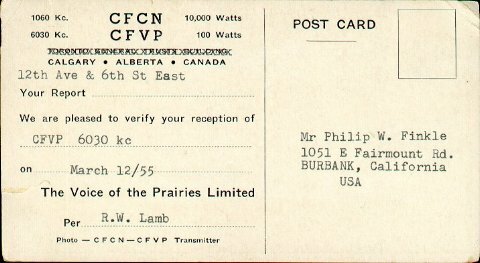 QSL card from CFVP, Calgary, Alberta, on 12 March 1955 on 6.030 MHz with an output power of 100 watts. 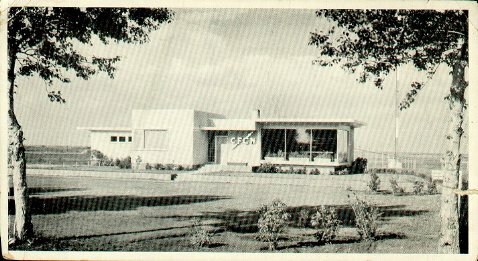 This QSL was from CFVP in Calgary, Alberta. It was one of the low power Canadian SWBC stations that carried commercial programming, in this case CFCN.